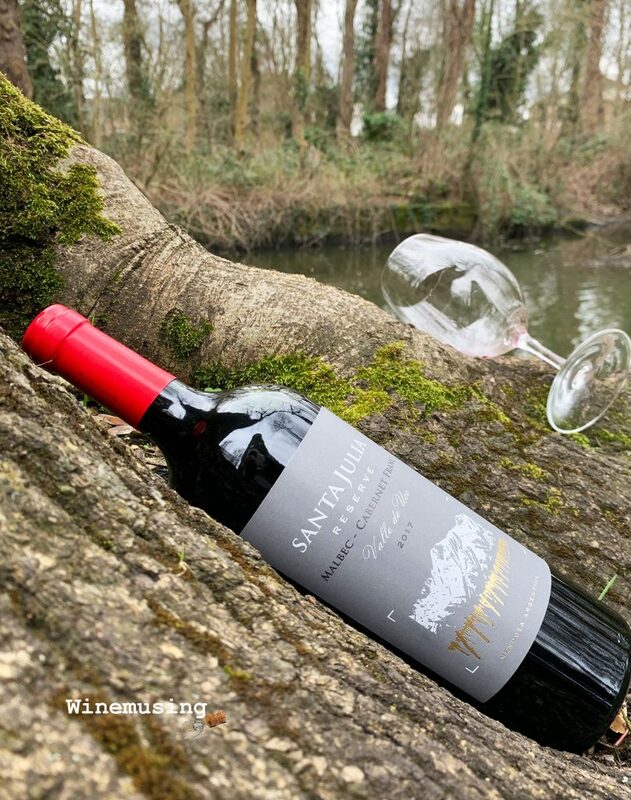 Santa Julia is one of the Zuccardi family’s estates, with Julia Zuccardi at the head and grapes that come from vineyards at the foot of the Andes, up to 1400 metres above sea level. This simply means that the grapes are ripened basking in the abundant sunshine while the cool nights allow the grapes to develop plenty of character. It is more common to see Malbec blended with the star of Bordeaux, Cabernet Sauvignon. However, in this blend, Malbec has been partnered with great effect with (30%) Cabernet Franc. That addition of Cabernet Franc has given the blend a light herbal, garni bouquet nuance to the aromas and palate and a plush fullness to the tannins. Its purple hued vibrance fairly leaps out of the glass. The cherry and plum fruit is solidly supported by an earthy footing. The velvety finish ends on a warm note of cinnamon spice and coffee. This is a wine that can easily move from being a casual get together wine to being a fine accompaniment to a grilled steak topped with truffle butter. It has that kind of generous heart and soul.